All legends available in previous versions have been migrated to gvSIG 2.1, so now we have a wide range of possibilities to represent our data. Let’s look at some of these possibilities. 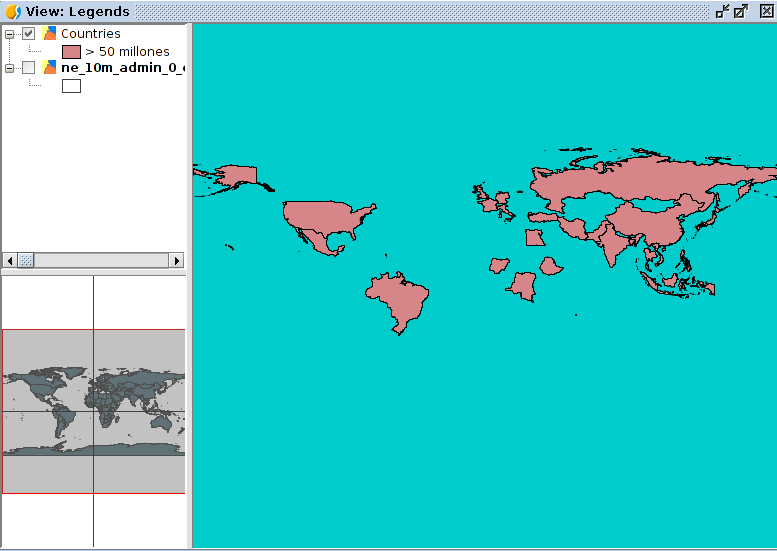 We worked with a polygon layer to represent world administrative divisions. 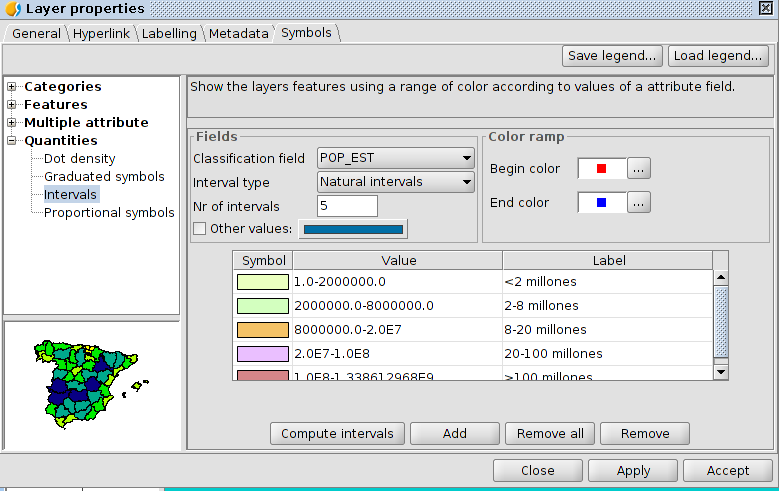 By default, every element of the same layer has the same simbology “Unique Symbol” in gvSIG. 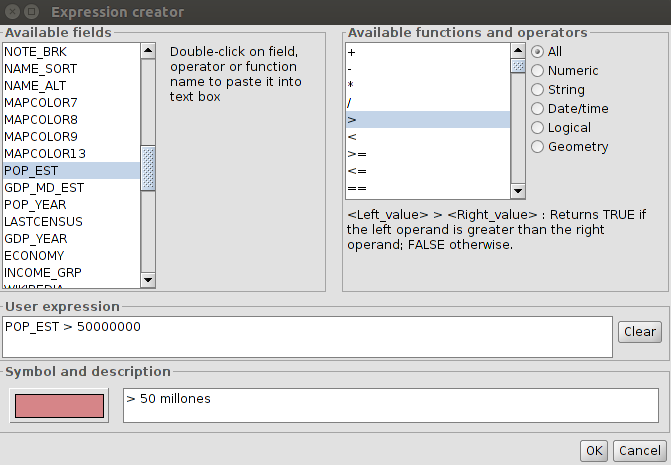 You can easily change simbology by clicking on Simbology Properties Editor and then select layer. 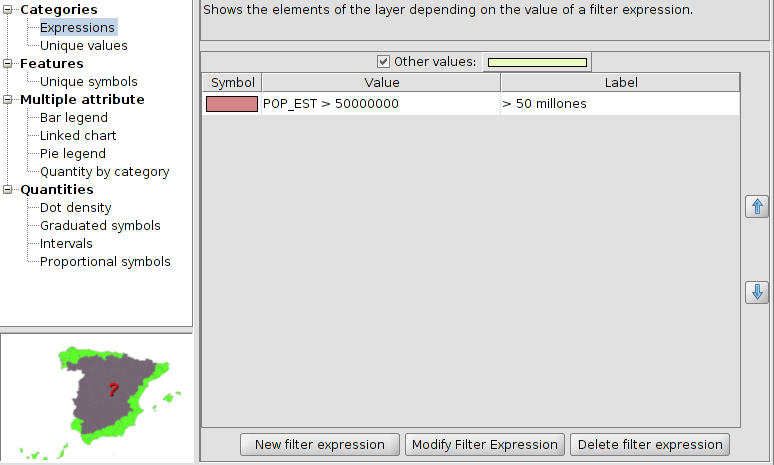 Population attribute, available in this layer, will be used to show various ways to represent a numeric attribute and showing different types of visual results. Let’s take a look now how it changes our perception of reality as a result of the legend we use. Another example of legend would be “Dot density”. We’ll define a symbol point and a value for that point. In our case, each point will have a value of one million inhabitants. 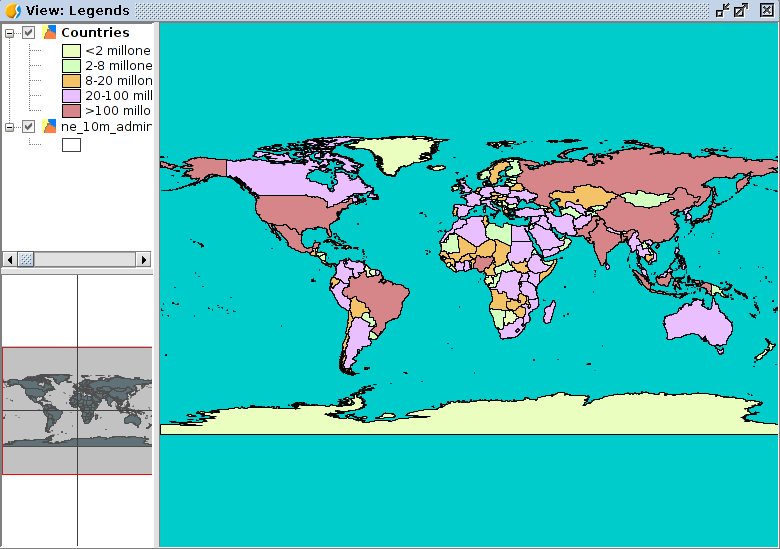 gvSIG will take the attribute value of population for each element and a point is drawn in a random way over the whole surface for each million inhabitants. The resulting image will give us different outcome from the previous legend. 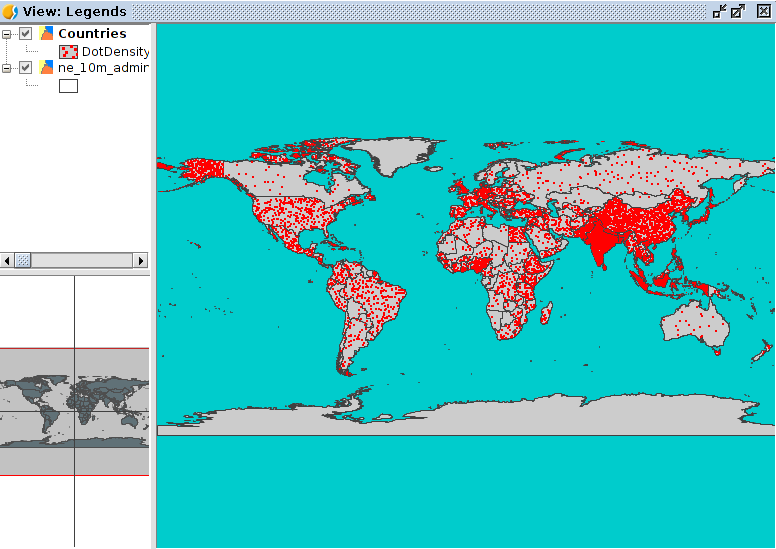 In this case, we are studying how to represent population density. We just need to look at countries such as Russia, Brazil, India and China to appreciate the differences between both legends. Although graduate and proportional symbol legends also give us interesting information, the aim of this text is not to do a thorough overview of all legends. And so we now move on from legends of “Quantities” to legends of “Categories”. 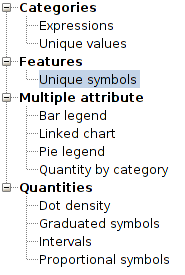 We have in this group one of the most common and basic types of legends: “Unique value legend”, which assigns a symbol for each unique value of the indicated attribute table. In our case, we will see using a simple example how “Expressions” legend works. A type of symbol is assigned to the elements which meet certain condition or expression. And of course, it is possible to have in the same legend as many conditions as we want. If we select this legend and click “New filter expression”, we shall see a window where we can build our expressions. 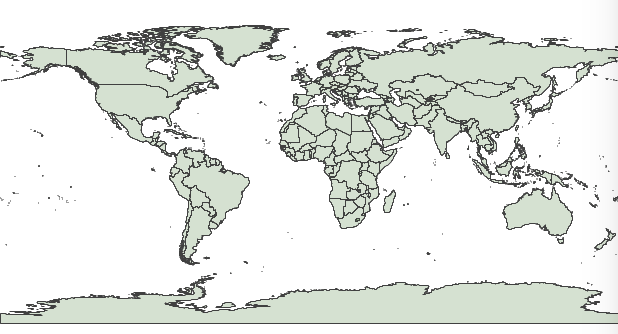 In order to see how useful is this legend, we will see an example as easy as represent in the same colour all countries over 50 million inhabitants. 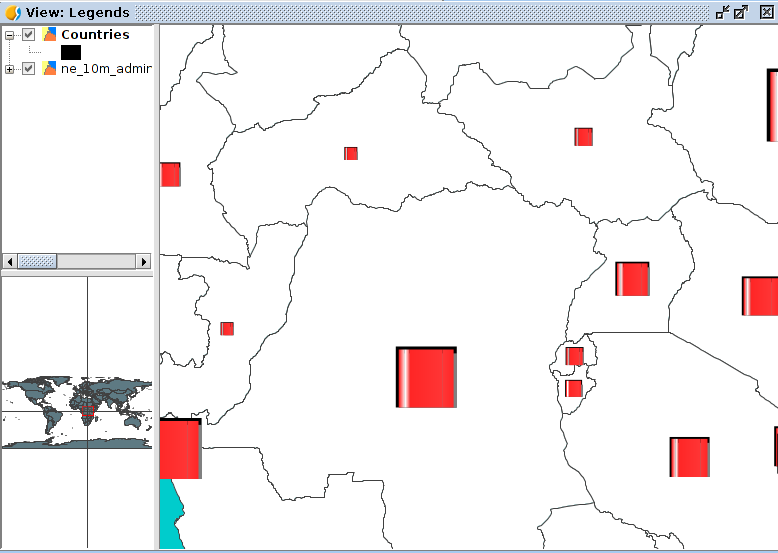 As you can see, there is a wide range of possibilities to represent the same data in very different ways. 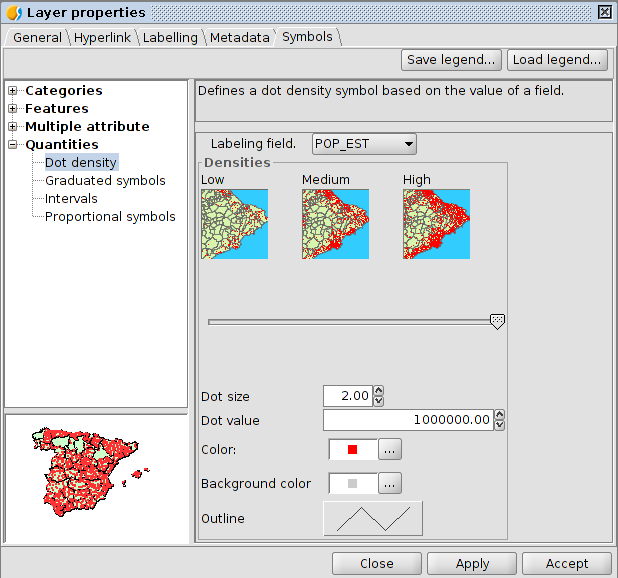 We have reviewed in tis post some types of legends included in gvSIG 2.1 and we could say that this new gvSIG version is very complete in respect of simbology area. 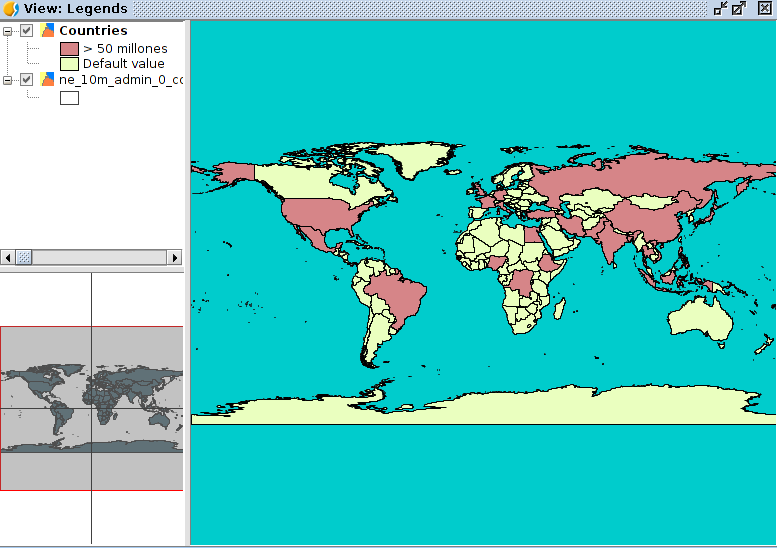 This entry was posted in english, gvSIG Desktop and tagged gvSIG 2.1, legends, simbology. Bookmark the permalink.